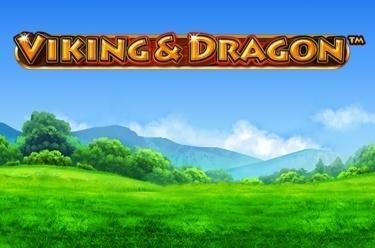 Play Viking & Dragon™ online for free now! In Viking & Dragon™ you embark on a winning heist on 5 reels. Your journey leads up north where a viking as strong as an ox and his sweet, fire-breathing companion watch over incredible gold treasures. The Viking, the Sword and the Hammer are the most valuable symbols. Your aim with Viking & Dragon™ is to land five matching symbols along one of the 25 win lines. All winning combos start on the first reel to the left and continue to the right without interruption. You win when a symbol lands in the required minimum number and the correct order. Treasure Chest (Bonus symbol): Bonus symbols don't have to land along a win line but pay in any position. 3 Bonus symbols grant you 8 free games, 4 Bonus symbols trigger 12 free spins and 5 Bonus symbols earn 20 free games. Each triggering Bonus symbol can also earn additional free games. Golden Coin (Wild symbol): The Wild symbol represents all symbols except for the Bonus symbol and also acts as a winning symbol. 3 Bonus symbols in any position trigger 8 free games, 4 Bonus symbols win 12 free games, 5 Bonus symbols earn 20 free games. Each triggering Bonus symbol (except for the rightmost one) can win between 2 and 5 further free games. The rightmost Bonus symbol can conceal a multiplier between x2 and x5 that multiplies the total winning number of your free games. The Extra Added Wild feature can start at random with every spin, randomly distributing between 3 and 15 Wild symbols across the reels. Winnings are paid when all Wild symbols have been placed. Welcome to the age of dragons and vikings! The slot Viking & Dragon™ takes you up north to a time when fierce vikings spread fear and terror. You will encounter an invincible pair: our freakishly strong viking and his graceful firedrake! 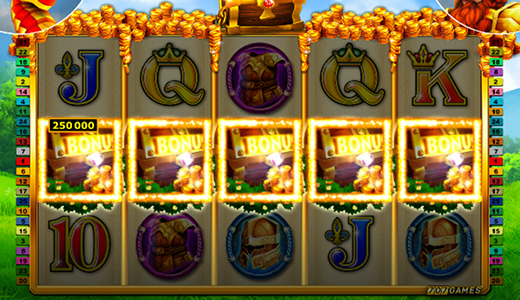 The beautiful meadows of this slot are a fertile breeding ground for plenty of Twist wins. Fill your treasure chest with Twists and look forward to a hero's welcome in your home port. So, what are you waiting for? These Twists are waiting to be conquered!